And the rivers all run, god knows where. 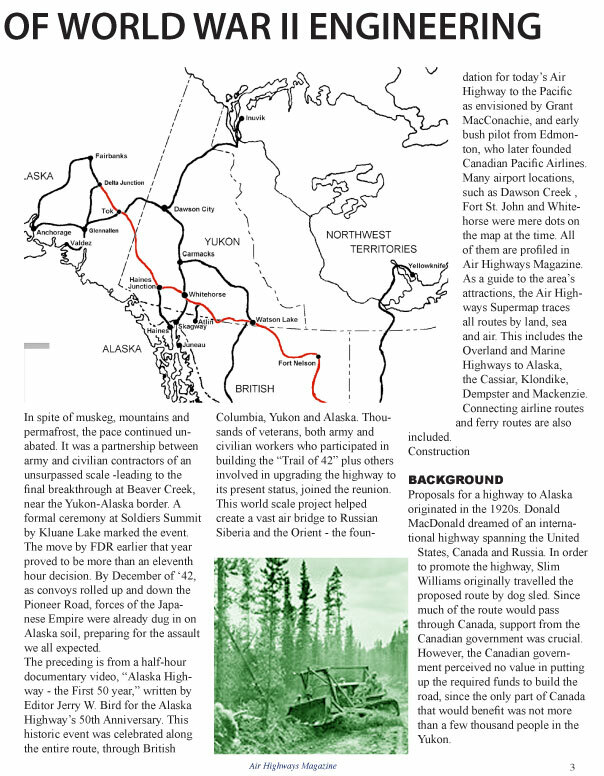 The Alaska Highway was also a massive sea-bridge, spanning the coastal fjords of the Inside Passage to historic Skagway, then over the White Pass by narrow-gauge railway to Whitehorse on the Yukon River, or up-coast to Valdez, Alaska, near Anchorage. 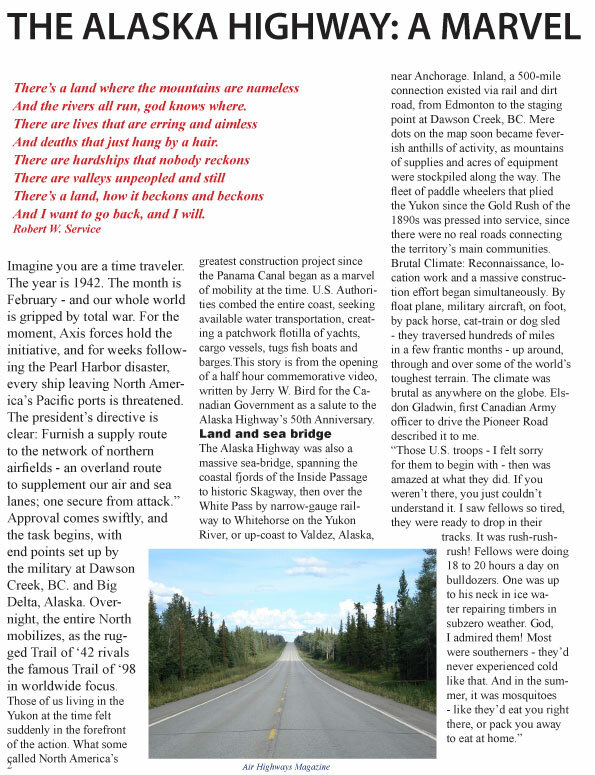 Inland, a 500-mile connection existed via rail and dirt road, from Edmonton to the staging point at Dawson Creek, BC. Mere dots on the map soon became feverish anthills of activity, as mountains of supplies and acres of equipment were stockpiled along the way. The fleet of paddle wheelers that plied the Yukon since the Gold Rush of the 1890s was pressed into service, since there were no real roads connecting the territory's main communities.